Hey folks, Valkor here. Thanks to the folks at Warner Home, we get to take the dynamic cat and mouse duo aka Tom and Jerry for a spin through the world of AniView once more. This round features the twosome who loves to hate each other, in a 30 episode set of some of their best shorts. A lot of you might find some scenes to be a bit racy, but you know what? It's all fun to me. 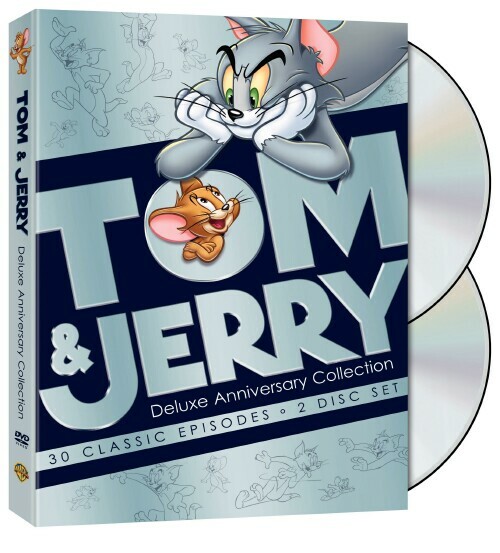 Check out Tom and Jerry Deluxe Anniversary Collection. Puss Gets The Boot: Mammy is tired of Tom always breaking things when he chases Jerry around the house. She issues him an ultimatum – break something else and its O-W-T OUT! 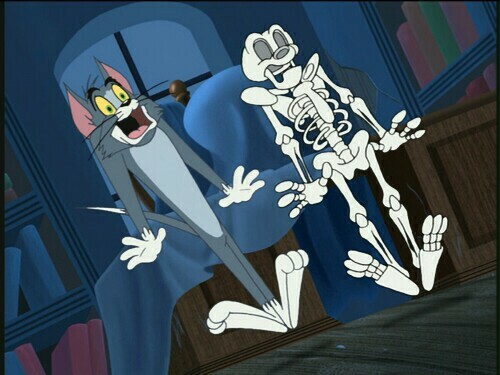 To this of course Jerry has to instigate the situation by pushing Tom to break something. The Little Orphan – Jerry has a surprise left on his door step – a little mouse with a severe craving for milk. And guess who's got the good stuff? That's My Mommy – Tom finds and egg, but when it hatches into a baby duck, it instantly latches on to Tom thinking it's his mother. Jerry of course tries to save the duck, but it refuses! To this, Tom tries to use this to his advantage by trying to eat the baby duck. But can he really do it? Jerry's Country Cousin – Jerry's cousin from the country stops in to pay him a visit. The thing is he looks just like Jerry, only he's super strong. So you know where this is going, right? Penthouse Mouse – A hungry Jerry mouse happens into a lunch pail, that's whisked away, landing him in the arms of one Tom cat. Chasing and hilarity ensues. Yankee Doodle Mouse – It's all out war as the two battle it out on Independence day, which includes fireworks. 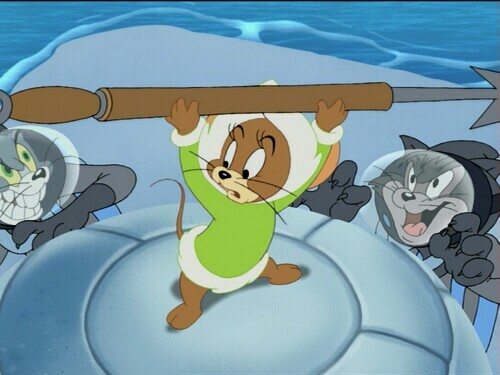 Extras included on the disc are "Much Ado About Tom and Jerry" (Narrated by Peter Thomas), which takes a look at the history and evolution of the characters. Also you'll get a host of trailers for other Warner Home Video animated projects. Not bad, but that's not the main focus of the set, thankfully. If you own Greatest Chases and the Chuck Jones collection, then you'll definitely want to own this set, especially if you want to check out the shorts with Mammy in them; basically if you've grown up watching those eps, you won't be phased by her. For me, I'm glad that Mammy was added back in as I don't really find anything racist about the character. As a matter of fact, she's pretty much the dominant one. There are some scenes of characters in black face (you know, black skin, big pink lips), but they are a product of their time, yet I must say again, I've even found those scenes hilarious. The set contains 30 episodes that run the gamut of the early days of the characters, up till the more modern, Chuck Jones-look. In this sense, you really see how far the characters have come. Overall, not a bad outing. Some of the earlier eps are a bit slow, and just not that funny, but the eps do pick up steam and the laughs as you continue through. Tom and Jerry Deluxe Anniversary Collection is a definite must have for any fan of the infamous cat and mouse. I had a blast with the set and I'm sure you will too. And out of TOV 5 stars, I give Tom and Jerry Delux Anniversary Collection 4.5 stars and it's been Valkor tested and TOV Approved.